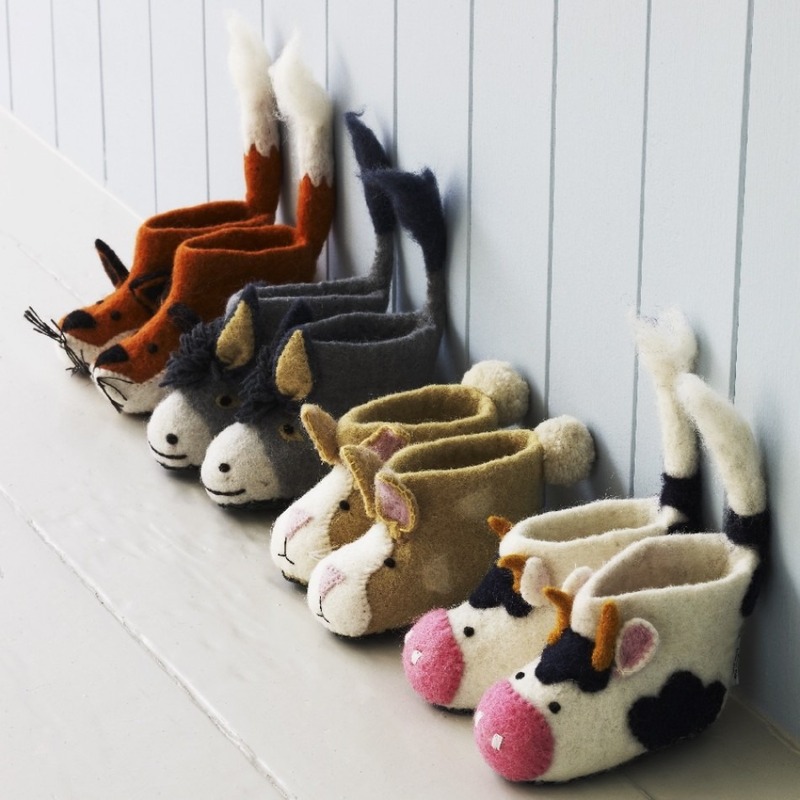 Do you remember last year we showed you the best animal slippers in the world? Then everyone (including us) got really annoyed because they were for kids? Look! 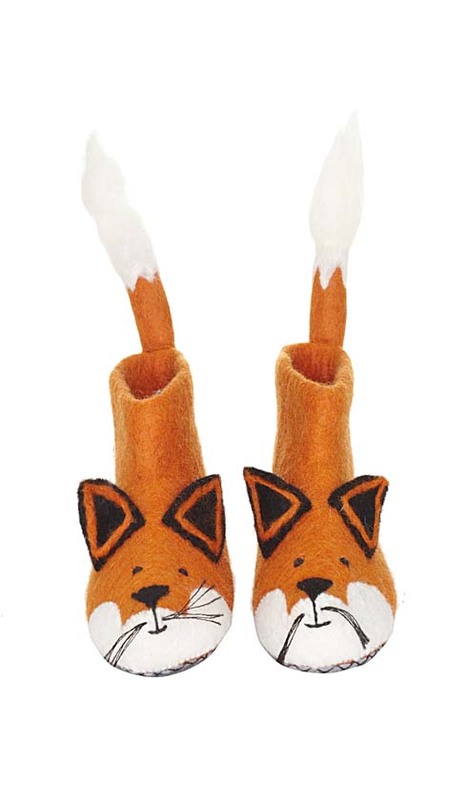 Plumo are selling adult-size fox slippers! They're so handsome. Let's have a look at a head on shot, I don't feel like we're quite getting Full Tail here. As suspected, Full Tail is pretty awesome. These are so brilliant. They're made from organic wool felt and the soles are grey suede. 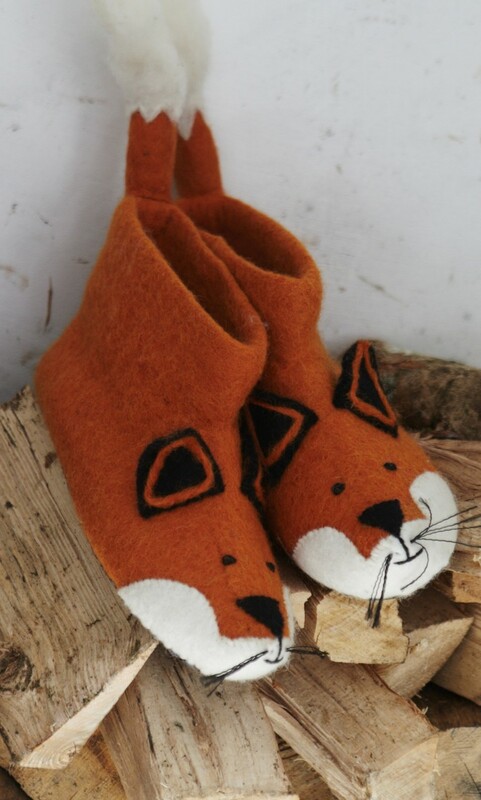 They're happy foxes so no chemicals were used in making them and their adorable little faces are hand-sewn. You've got a choice to three rather vague sizes - small (size 3-4), medium (six 5-6) and large (size 7/8). And impressively, they're £39. Usually I'd think that was quite expensive for slippers, but I'm completely powerless before whiskers and a fluffy tail. These are going to be on my feet until March of next year. Wow! 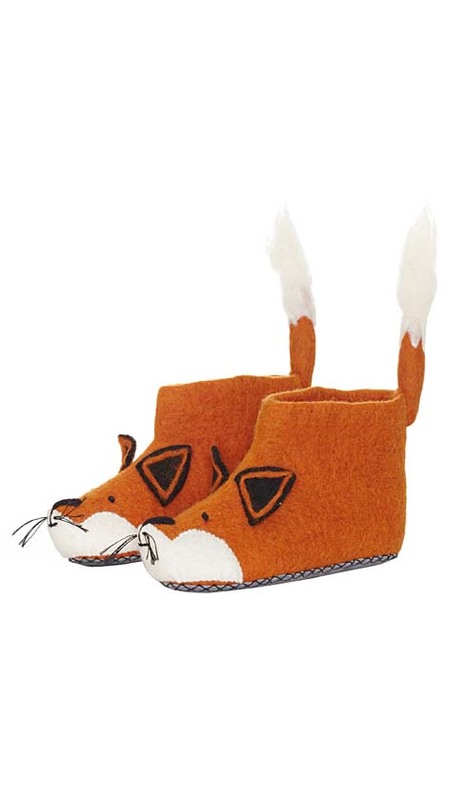 Someone got my baby son some of the donkey slippers for a present, and now the fox ones can be mine!! Best news ever. Argh, that is pricey but I'm trying to justify them to myself since they'd be perfect for my job in a kindergarten!